At Centene, healthcare is personal. Every family, individual, and community we serve is unique. At Centene, we invest in communities. Caring for our members and the communities they call home means being where they are. Every day, we’re making a real difference in the lives of our members. Centene’s diverse portfolio of health solutions reflects our commitment to the health of the children, families and individuals that we serve. "I work in a fast-paced, caring, collaborative and energetic environment. Each day, I am given the opportunity to make a difference in the lives of our members. 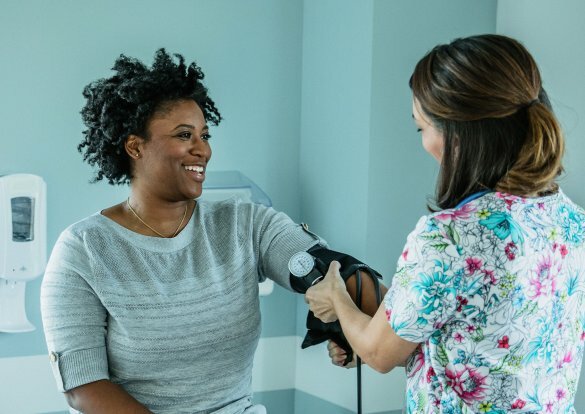 By caring for the whole person, and not just a specific condition, we're able to help members address many of the barriers that can block their access to quality healthcare." Centene's competitive advantage is driven by capability, capacity, scale, and more than 30 years of experience operating government-sponsored healthcare programs. Centene is the largest Medicaid managed care organization in the U.S., a national leader in managed long-term services and supports, and the number one insurer in the nation on the Health Insurance Marketplace.